If you want your new website to perform brilliantly as well, choosing a Best Managed WordPress Hosting would certainly be the next best thing to do. Hosting a website is a lot different now unlike in the past and it certainly takes a lot of carefulness on one's part to make sure one doesn't miss on any of the important features. In fact, everyone’s been striving to have brilliant websites that would stand out amongst several others in terms of performance. Here is the list of Best Managed WordPress Hosting for 2019. Liquid Web has played a very significant role in the field of managed hosting and it’s absolutely commendable about the way it has been contributing in this field ever since it started. Data from Liquid Web VPS plan. Interestingly, Liquid Web has always emphasized on reaching every category of users with its plans and this is what makes it so popular among the users from all over the globe. Managed hosting plans of Liquid Web have the right mix of the most appropriate and powerful features for every type of user. Liquid Web offers 100% uptime with constant monitoring of hardware by the most experienced and competent onsite staffs. Every hardware related issue is resolved in no time. It puts a lot of emphasis on the security aspects and it offers maximum protection against vulnerabilities and cyber threats by using techniques such as threat intelligence and vulnerability management. With its constant monitoring and proactive management, your web resources and content are always safe and secure. With automatic updates and backups, you don’t even have the slightest possibility of any data loss. In fact, this is where the strength of a managed hosting lies. On top of that, the companies like Liquid Web offers excellent customer support with the most comprehensive knowledge base and 24X7 assistance by highly experienced technicians. With Liquid Web your issues and queries are addressed in the quickest possible time. Most importantly, hosting a website with Liquid Web Managed Hosting Plan is convenient for the users in a lot of ways such as fast installation, quick migration, easy management of web resources and more. In other words, Liquid Web provides its users with an absolutely brilliant control and freedom over their hosted websites by its extremely user-friendly features. If you want a managed hosting service with a cutting-edge technology, there's certainly nothing better than the Kinsta Managed Hosting. In fact, Kinsta has greatly proved its presence since 2013 by bringing about a huge difference in terms of stability, security, and speed. That’s the reason why it’s one of the most preferred hosting providers when it comes to Best Managed WordPress Hosting 2019. 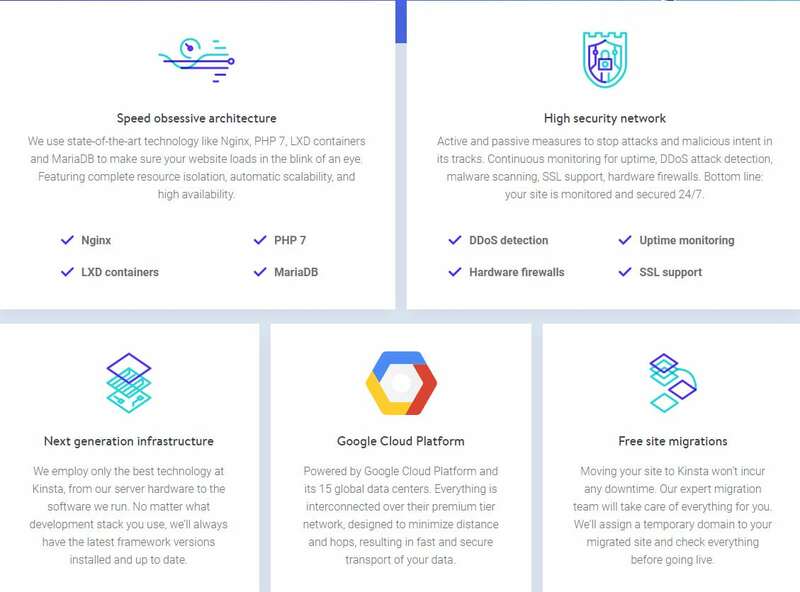 Kinsta hosting ensures complete resource isolation by its cutting-edge technological architecture like Nginx, PHP 7, LXD, and MariaDB that eventually keeps your website highly optimized all the time. Also, resources can be conveniently scaled up as one's business starts to grow with the automatic scalability option. 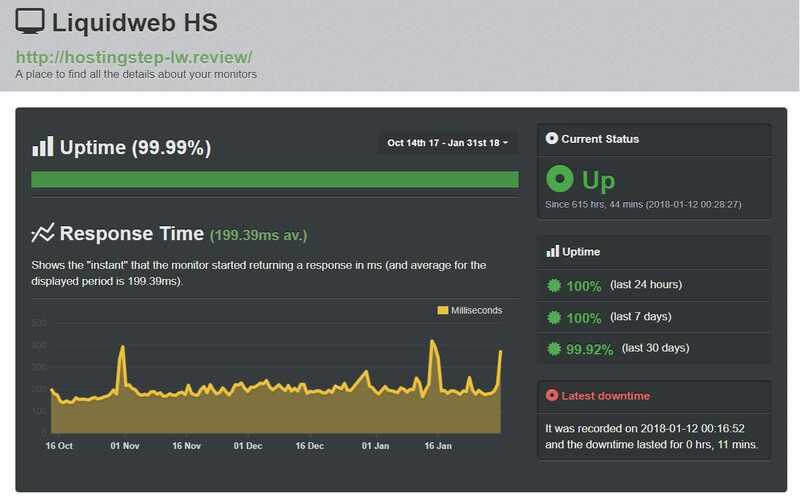 With Kinsta Managed WordPress hosting, users always have elevated levels of web security which is characterized by constant monitoring and detection of DDoS attack, advanced malware scanning, SSL support and of course, consistent uptime monitoring. With Kinsta, you can always be at a peace of mind as it offers a brilliant user-friendly as well as developer friendly interface packed with powerful features. Interestingly, a user can choose between the data centers for an highly accelerated performance. Unlike others, Kinsta offers optional add-ons such as Cloudflare Railgun, Elasticsearch, Redis, Nginx reverse proxy and more for any plan to provide its users with extended functionalities and it certainly can’t get more powerful than this. It clearly reflects Kinsta’s deep understanding of the various categories of users and their requirement. 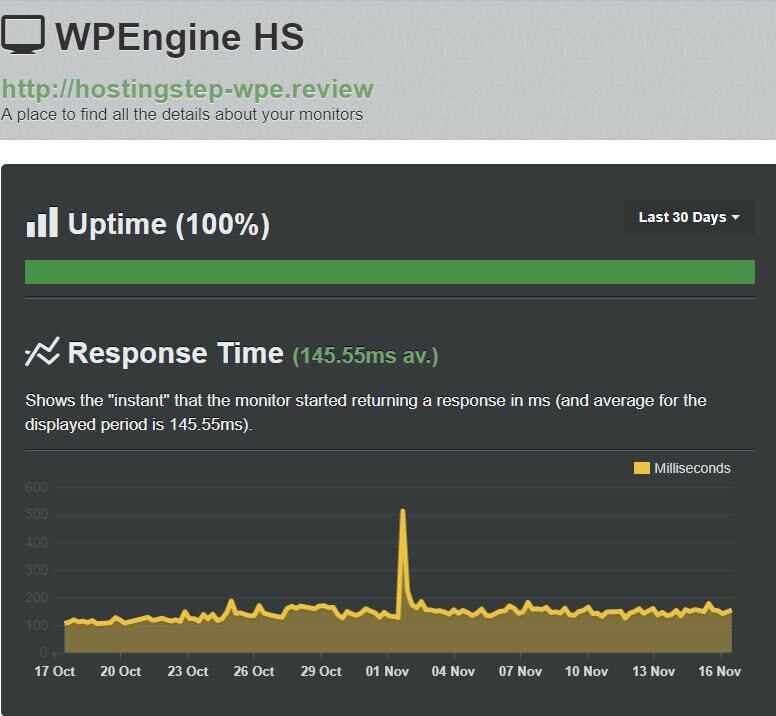 WP Engine has certainly added a new dimension to hosting with its unimaginably advanced technologies, high performance, brilliant integration and powerful insights that proved to be extremely effective for many businesses in achieving massive success over the years. In fact, WP Engine has been to a large extent able to create an absolutely different image for itself by its excellent performance and approach towards hosting. If we see it from the users’ standpoint, WP engine is a lot different from the other hosting providers in terms of approach and technology. WP Engine helps you build, manage and personalize your websites faster unlike ever before with its brilliant features such as Git integration, Multisite, and GeoTarket. This has encouraged a lot of people to use WP engine over the years. If you want to achieve a massive amount of success with your website, WP engine gives you every reason for it with its critical insights feature. The feature, ‘critical insights' helps you comprehend the performance of your website and contents. Also, you can know the performance of your website applications using critical insights. With CDN and SSL included in all the plans, your website is going to have an accelerated page loading speed and elevated levels of security. Fast page loading is pretty advantageous from the SEO point of view as it can create great impressions for your visitors and also, keep them engaged. WP Engine has a dedicated security team to consistently monitor every possible threat or intrusion attempt and block them in no time to keep your website safe and secure all the time. This has eventually helped this hosting provider attain a very reliable and dependable position over the years. On top of that, it has an outstanding customer support with 24×7 phone and ticket support. Most importantly, the customer support team comprises highly competent and friendly executives to answer the queries and resolve the technical issues of the various users in the quickest possible time. This has certainly played a huge role in the increasing popularity of WP engine over the years. A2 Hosting is certainly ranked among the top hosting providers when it comes to uptime and customer support. In fact, these are the two important aspects that A2 Hosting has been persistently emphasizing on ever since it started. 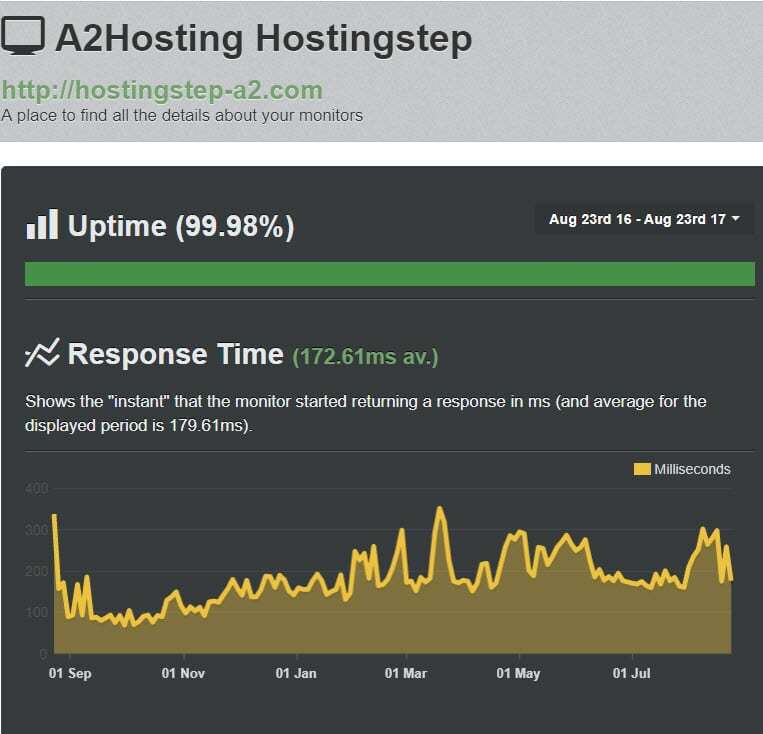 There has been an increasing demand for the A2 Hosting products among the users from all over the world and this clearly indicates its brilliant performance so far. A2 Hosting another Best Managed WordPress hosting 2019 is certainly offers you with the most reliable hosting experience in terms of speed and uptime. What makes it possible is its SwiftServer platform with several speed-enhancing features such as SSDs, CloudFlare Servershield CDN and LiteSpeed Cache for WordPress.The speed enhanced Turbo features up to 20X faster page loading and normally, it is 6X faster than standard Best Managed WordPress hosting. A2 Hosting minimizes every possible threat to your websites by detecting intrusion attempts and right away blocking them. It offers a perpetual security to the users' websites with dual firewall protection, brute force defense, Kernel updates and more. Also, it offers free Hack scan Protection to keep your site consistently out of every possible cyber threat. A2 Hosting has made web design and development ridiculously simple. Even if you are a newbie, you can conveniently build a website using the WordPress Page Builder Hosting options without having to touch a single line of code. A lot of users have largely benefitted by this. Last but not the least, A2 Hosting offers a brilliant customer support which comprises Knowledgebase, email and text assistance as well as assistance over the phone. In fact, it is believed to be among those hosting companies with excellent customer support. Users' queries and issues are resolved in no time in the friendliest manner. Also, the executives are highly experienced and technically very competent. Considering the performance data of SiteGround over the past couple of years, SiteGround certainly is the leading Best Managed WordPress Hosting provider. 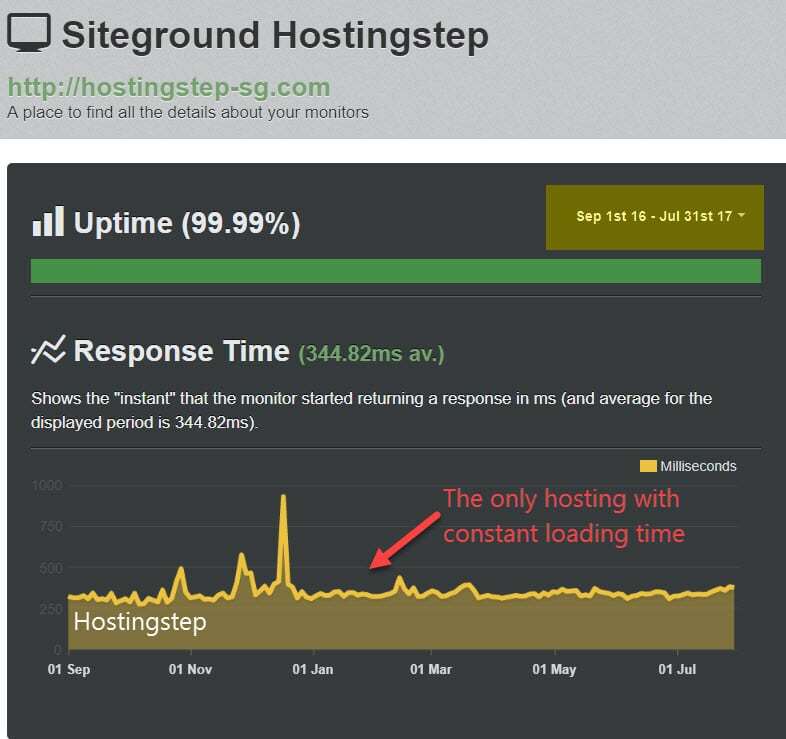 SiteGround has done an extremely good job so far in terms of uptime and response time. Of course, it has many other powerful features that give it a leading edge over the other hosting providers. Hosting a site with SiteGround is unimaginably easy as SiteGround offers an absolutely user-friendly interface which is not very hard to comprehend even if you are a newbie. Installing a WordPress site with SiteGround Managed Hosting is simply a matter of a few minutes. This has eventually lead to an increasing popularity and an extensive use of SiteGround hosting plans all over the globe over the years. It offers an impressively fast page loading and what makes it possible is its SSD based hosting and amazing mechanism of three layers caching which comprises static and Dynamic cache as well as Memcached. In fact, that’s the reason why SiteGround hosting is believed to be the most SEO friendly hosting. Furthermore, SiteGround has an unbeatable customer support team that has assisted users from all over the world brilliantly over the years. Every query and issue is addressed in no time. There's absolutely no reason for you to ever get locked away by any technical difficulties with SiteGround Managed WordPress hosting as you always have the constant support of the technical team. Interestingly, SiteGround offers 30 days money back guarantee for every plan which pretty much reflects its deep commitment towards customer satisfaction. Also, it clearly indicates its confidence about its service. From the users’ perspective, they would get enough time to try and get familiar with the various features of a SiteGround Managed hosting and in case, they make up their mind to go with something better than SiteGround, they can always have their money refunded back within 30 days. Also, it provides users with free SSL to ensure the most secure hosting environment. Migrating your website from your current host to SiteGround is absolutely free of any cost. Also, it’s pretty simple and it can take about an hour at the most to migrate the entire website to SiteGround. On top of that, you always have the constant support of the technical team in case you ever face any difficulty. A Managed WordPress Hosting is technically by far advantageous than a cheap shared hosting and it is characterized by high-performance hardware and dedicated servers. In a managed hosting, websites are highly optimized and things are much safer with regular data backups and consistently tight website security. It has high-performance hardware and advanced technologies involved to provide you with an Ultrafast page loading. We completely understand how difficult it is to make the perfect choice of Managed Hosting for many of you. Hopefully, this post will make things a lot easier as we have spent many hours testing the various Managed Hosting providers and their plans to finally bring to you the 5 Best Managed WordPress Hosting providers with their most powerful hosting plans. However, we suggest that you don’t take any hasty decision and try all of the above mentioned managed hosting to find the most appropriate one for your website since almost all of them offer trials and money back guarantee.